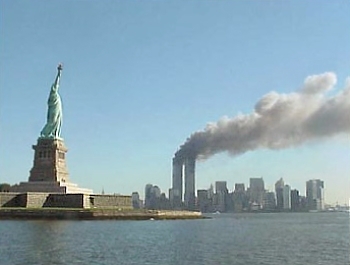 Fifteen years on from the attacks of September 11, 2001, and Osama bin Laden in dead. This serves as a symbolic victory in the war against Islamofascism. But the fact of the matter is we are less safe; more vulnerable to an attack by Islamic jihadists than we were eight years ago. The blame for this must be laid at the feet of the politically correct. Fifteen years ago many of us who stood strong against those who accused us of being “racist” and “Islamophobic” screamed from the roof tops that this conflict; this war against Islamofascism; this Holy War declared against us by Osama bin Laden himself – twice, we said our country had to be dedicated in our efforts. We preached and wrote and talked and begged anyone who would listen to understand that the battle we were to undertake, the war not of our making but the war we needed to win at all cost, was multi-faceted and generational; one that encompassed military, educational, economic and cultural battlefields. Our efforts had to be equally applied in each theater and for the duration.